Camosun Bog is an oasis that offers a glimpse of what Point Grey was like a century ago. It’s tough to imagine Vancouver as it once was. Towers jut above the forests of Point Grey, and the trees give way all too quickly to the grid of streets and houses above Spanish Banks. Pacific Spirit Regional Park offers an antidote to urban life just minutes from prime Westside real estate, but it’s easy to miss the forest for the trees. With kilometres of trails that keep hikers and cyclists on track, the wilderness has become a master-planned parkland. Yet the Vancouver Historical Society notes that the terrain Vancouver occupies once supported a wide range of plants, animals and natural features – some of which still await discovery. One hidden gem is Camosun bog, one of several scattered across the Fraser River delta. The bogs made building in Vancouver a challenge. Even today, anyone renovating existing homes in one of the former bog areas must provide a thorough geotechnical review to city staff. Camosun is the westernmost of Vancouver’s bogs, many of which formed in hollows on the north-facing slopes above Burrard Inlet. Another lies under Douglas Park, while yet another was the headwaters for Brewery Creek, which powered many early industries in the city’s Mount Pleasant neighbourhood. 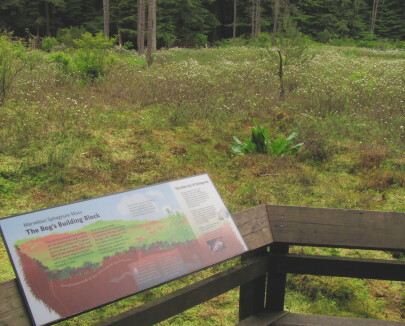 Signage around the bog provide lessons in bog history and management. Camosun was once 3,000 acres in size but development has reduced it to just 50 acres. A visit offers a glimpse of Vancouver as it once was. A series of interpretive plaques help visitors understand its place in the world and the day-today life of First Nations cultures. 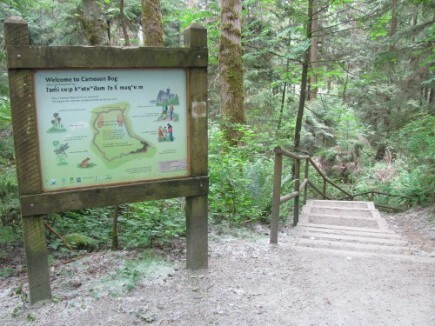 Accessed from Camosun Street south of West 20th Avenue, or off Imperial Drive, the heart of the bog lies within a circular boardwalk that allows visitors to experience this urban oasis without damaging it. Restoration work has seen trees removed that allow sphagnum moss to flourish, as well as carnivorous sundew and tasty blueberries, bunchberries and other fruits to grow. The bog is a favourite with birders, and the wet earth of the bog sometimes bears the paw prints of the animals that have crossed into the surrounding forest. Those who wish to learn more, and help preserve the bog, can join the Camosun Bog Restoration Group, which meets on Saturday mornings from April through November. The group is one opportunity for newcomers to Point Grey and the Westside to learn more about their community and – literally – develop roots in the community. 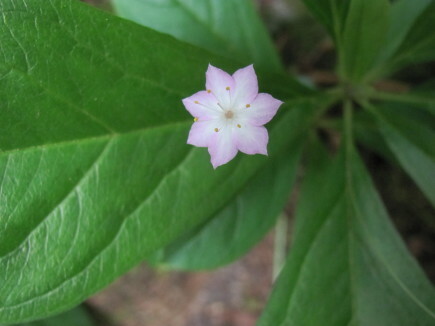 Star flowers shine on Camosun Bog in spring.